Serving Côte Saint Luc since 2011, Santé Kildare proudly offers a modern, multidisciplinary approach to health and wellness. In recognition of the clinic’s commitment to comprehensive care and extended medical hours, Santé Kildare was designated a GMF by the Minister of Health in October 2012. A Family Medicine Group (GMF) is a team of doctors who work in close cooperation with nurses and other health professionals to promote the principles of family and community medicine. With our team of healthcare professionals and ongoing commitment to excellent care, Santé Kildare is an ideal destination for all of your family’s medical needs. Santé Kildare is an accredited teaching site for McGill Medical and Nursing students, as well as one of the few approved Nurse Practitioner training locations. Physicians at Santé Kildare supervise first year McGill medical students in the Longitudinal Family Medicine Experience (LMFE) Program, as well as third and fourth year McGill medical students during their Family Medicine Clerkship rotations. Santé Kildare also accepts elective medical students from other universities. Santé Kildare works in partnership with CIUSSS du Centre-Ouest-de-l'Île-de-Montréal and CLSC Rene Cassin to offer the Cardiometabolic Program to high risk individuals. Offered at the CLSCs, patients with pre-Diabetes, Diabetes and/or Cardiovascular disease work with a dietician and nurses to improve their diet and develop a healthier lifestyle. Santé Kildare was approved by Canada Health Infoway in 2015 for the Wave 2 e-Booking Initiative to promote patient on-line access. Almost half of patients now use Santé Kildare’s on-line booking platform with Oscar Self-book to book routine (non walk-in) appointments. Santé Kildare physicians are vocal proponents of Family and Social Medicine. Several physicians have been approached and interviewed by media outlets, such as the Gazette, CTV News, CBC and CJAD, to discuss and comment on pertinent medical issues. Since 2014, Sante Kildare has participated as a sentinel reporting clinic for seasonal influenza activity. The seasonal flu is an important public health issue for all Canadians, particularly for those who at risk of developing complications that can lead to severe illness. Sante Kildare is proud to partner with the Public Health Agency of Canada to help reduce the spread of flu. Santé Kildare is committed to research and actively participates in several ongoing research projects. Recruitment continues for the innovative SCRIPs pilot project studying compliance among patients to personalized written prescriptions for diet and lifestyle changes. The Diabetes Empowerment Group Program seeks to validate a new tool to measure patient empowerment and improve diabetes management by developing group-based support programs. Santé Kildare collaborates with CognisantMD in a pilot project using electronic tablets to apply a measurement based care approach in major depression management. Santé Kildare was selected to participate in the University of Toronto Department of Family and Community Medicine Quality Improvement "teaming" project. High functioning primary care teams were chosen across Canada with the goal of developing a blueprint and action plan to guide primary care teams to function effectively. The ultimate outcome leading to improved health of populations, improved and patient and provider experiences and improved value. The findings were presented at the College of Family Physician of Canada's annual conference - Family Medicine Forum - in Montreal in October 2017. Santé Kildare physicians and nurses collaborate with the Direction de santé publique (DSP) du CIUSS du Centre-Sud-de-l’île-de-Montréal and the Québec breast cancer screening program (PQDCS) as volunteer health professionals to receive, review and follow mammogram results of women who do not have a family physician. Santé Kildare prides itself in seeking out the newest developments in medical information technology including MyOscar, Kindred Patient Health Records, Doctr.ca, Bonjour Santé, and Sofy on-line booking to improve patient access. Continually changing and upgrading, different platforms are integrated in efforts to improve the patient experience. Working with Info-Data Logiciels, Santé Kildare upgraded from McMaster open-source Oscar to OscarQc electronic medical records in January 2016. In January 2019, Santé Kildare adopted Info-Data Logiciels' Ofys EMR platform to meet Quebec's evolving requirements. 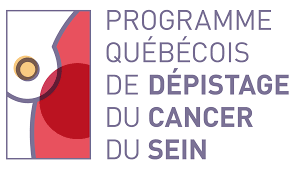 Santé Kildare is integrated with the province`s DSQ (Dossier Santé Québec) centralized databank and is a partner in the implementation of the Project Solution Régionale de Laboratoire (SRL). Santé Kildare is one of first and only medical clinics in Quebec to use CognisantMD's Ocean Platform to improve patient files and gather crucial medical information. Incorporated directly into OscarQc, Ocean updates demographics, screens patients and adds to the medical records. Starting in Spring 2018, Santé Kildare introduced a secure contact form using Ocean technology enabling patients to communicate safely and securely with the clinic. These enhancements help protect patient privacy and allow for the encrypted transfer of medical information through the CognisantMD portal. Santé Kildare is proud to partner with Tia Health to offer innovative and state-of-the-art virtual care with your doctor and medical team from your phone, tablet or computer. Introduced in October 2018, telemedicine supports Santé Kildare's mission to modernize and improve health care access and delivery.